More strictly halal requirement from the Middle East kingdom is threatening Brazil’s position as a food exporter in the area. Halal slaughter has become a sensitive issue between Saudi Arabia and Brazil threatening the access for the Brazilian meat producers on their main market in the Middle East. An official delegation of Brazil, headed by Eumar Novacki, Executive Secretary of the Ministry of Agriculture, Livestock and Food Supply (MAPA), was received last week, in Riyadh, by Deputy Minister Ahmed bin Saleh Al Ayadah of the Ministry of Agriculture, Environment Environment and Waters of the Government of Saudi Arabia to discuss the subject. One of the issues addressed at the meeting was the Halal slaughter in Brazil, a religious requirement to access the market in several Arab countries. Saudi Arabia is increasingly restricting access, but the Brazilian Government has submitted a technical-scientific work carried out by Embrapa, in partnership with the University of São Paulo (USP), explaining that the procedure used in Brazil strictly follows the precepts established at slaughter Halal. 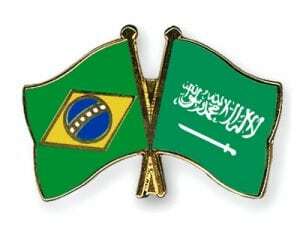 The Brazilian part has requested to postpone for 60 more days in order to take into account the more stringent criteria demanded by the Saudi government and invited a delegation to know how halal slaughter is carried out in Brazil, informs agricultura.gov.br. At the beginning of this year, the International Halal Accreditation Forum (IHAF) held a meeting in Brazil to discuss the opportunity for a unified halal certification system for the South American country. The secretary-general of IHAF, Mohamed Saleh Badri, thinks that the current system it is too expensive as every country is taking a different approach to halal certification. From his point of view, the National Institute of Metrology, Quality and Technology (Inmetro) could play the role of a regulatory body to unify the processes of halal certification. Saudi Arabia is the main destination of Brazil’s agricultural exports in the Middle East. In 2017, Brazilian exports totalled more than $ 2.6 billion. Chicken is the main product, with 591 thousand tons exported, which have yielded more than $ 1 billion. On the other hand, the export of live cattle could be solved in the next few months, as the Riyadh officials are ready to send a technical team in Brazil, in the first week of May, to discuss this issue.